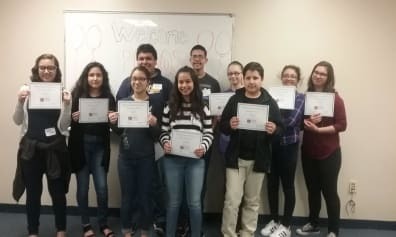 The PASOS program (Preparing and Advancing Students for Opportunities in the Sciences) is a partnership program between the United Community Center/Latino Arts, Inc. (UCC), the Bruce-Guadalupe Community School (BGCS), Carroll University and the children and families of south Milwaukee. 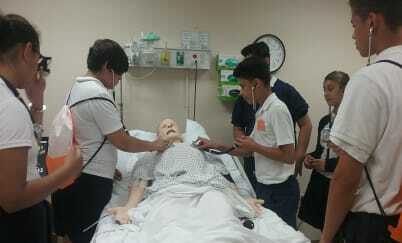 The program partners share a common goal to create a supported pathway or steps (pasos means steps in Spanish) for Hispanic middle school children to explore careers in the health sciences and ultimately achieve their goals of a college education. The PASOS program grew from discussions between the UCC and Carroll University in 2013 related to the academic success of the students enrolled in the BGCS and the need for a diverse healthcare workforce, especially in underserved areas. It was identified that a program that facilitated excitement and enthusiasm for education in middle school students, provided support during the high school years and gave a clear pathway to college would help address these needs. 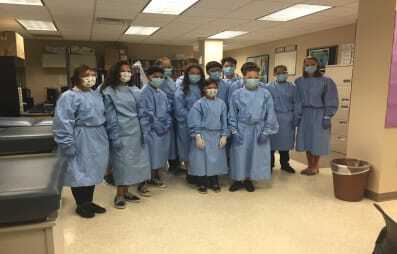 The goal was clear, create a program to support the children and families who are unfamiliar with the US educational system and provide the steps needed to realize dreams of becoming a nurse, physical therapist or other healthcare professional. 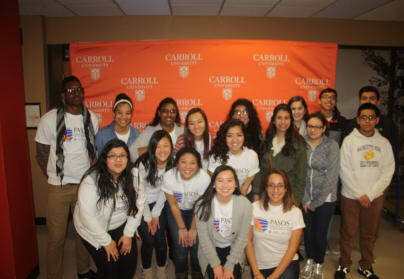 The PASOS program offers community-based academic and social support in middle and high school leading to direct admission in a Carroll University health science program. Activities include career exploration, academic and career fairs, student and family social events, academic and professional advising and mentoring, shadowing experiences, academic tutoring, higher education financial planning, and direct admission seats in CU allied health and medicine programs. There are currently 26 BGCS graduates in the PASOS program, 16 high school sophomores and 10 freshmen. We need to expand! This crowdfunding project will raise money to fund three middle and high school activities for the students and their families. 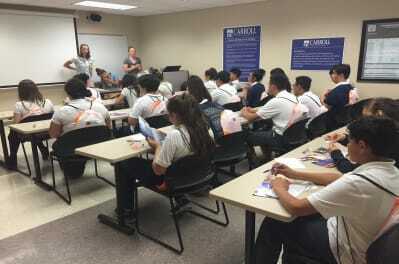 These programs include Carroll University and PASOS Program Introductory Day for raising BGCS 8th graders; PASOS Family Day at Carroll University for BGCS 8th grade applicants and their parents; Carroll University Horizontes en Carroll Program attendance for PASOS Program high school students who are not eligible for the federal Free Lunch Program. Helps support one BCGS student participating in Carroll University and PASOS Program Introductory Day. This gift supports one rising BGCS 8th grader's participation in the Carroll University and PASOS Program Introductory Day. Support two rising BGCS 8th grader's participation in the Carroll University and PASOS Program Introductory Day. Support the participation of one BGCS 8th grade applicant and their parents in the PASOS Family Day at Carroll University. Supports the participation of two BGCS 8th grade applicants and their parents in the PASOS Family Day at Carroll University. Will support the participation of one PASOS Program rising sophomore or junior student in the Carroll University Horizontes en Carroll Program. Support the participation of two PASOS Program rising sophomore or junior students in the Carroll University Horizontes en Carroll Program.